An ornament for the ankle, alluded to by Isaiah (iii. 18) in the list of articles of jewelry that the women of that day were accustomed to wear. Sometimes the Anklets were connected by a short chain, compelling in this way an affected or mincing manner of walking. The Targum on the passage and Yer. Shab. iii. 8b translate 'akasim by "shoes" or "slippers." 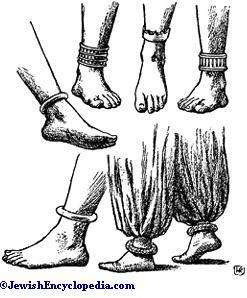 Oriental Anklets. 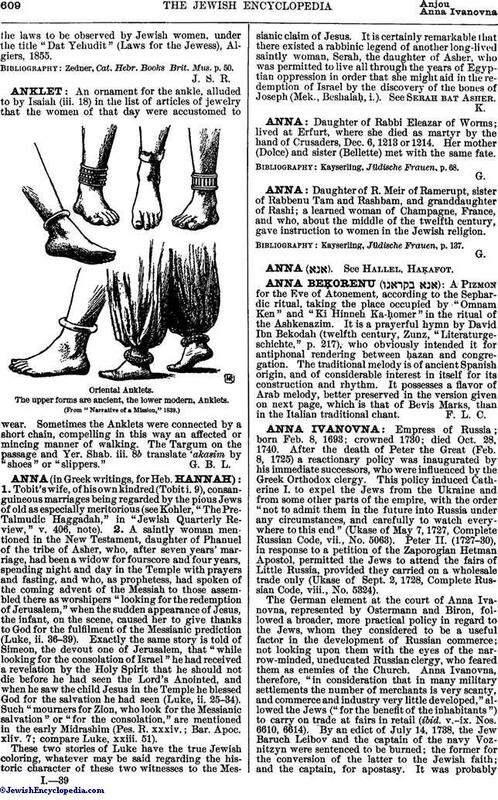 The upper forms are ancient, the lower modern, Anklets.